Nintendo has released a new trailer for their free Wii U and Nintendo 3DS digital title Mini Mario & Friends. 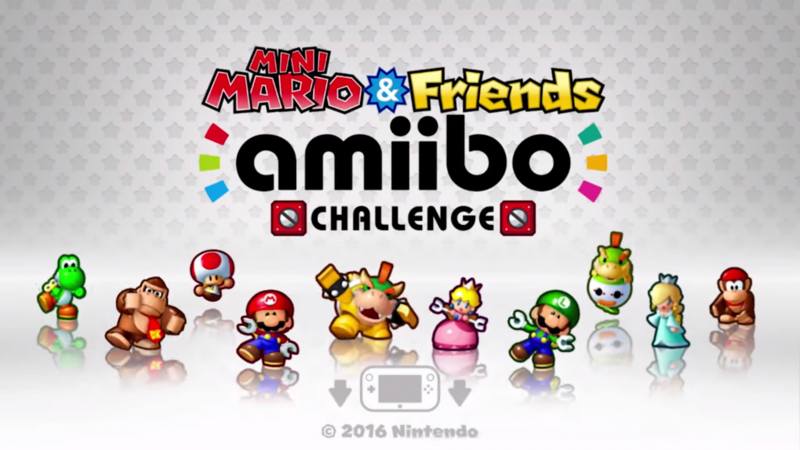 The launch trailer shows off how you can download the free game and then interact with any amiibo figure to add a playable character. Some characters have unique abilities, but the trailer doesn’t appear to give any of those away. Game-play looks like a 2D platformer but with puzzle elements, with the object being to guide your character safely to the end of the stage. Take a look below. It’s free, so you already have any amiibo figure, you can get started right away.